Home » Belize Travel Blog » Holidays & Festivals » What Holiday is September 10th? What Holiday is September 10th? So I did a bit of reading…and here is what I learned. The Battle of St. George’s Caye occured Sept 3 to Sept 10th in 1798 between the Spanish and the English off the coast of Belize. The Spanish, invading from Mexico, took on a relatively small group of English Baymen and their black slaves. The Spaniards lost pretty quickly and retreated. HURRAY! The British won! It was just one of a bunch of battles in the Anglo-Spanish War. These guys were really fighting it out to gain control over the Caribbean and it’s lucrative part in the slavery and sugar businesses. So there you go. Personally, I am very thankfully that English is the official language here. St George’s Caye is also the small island right off the coast of Belize City. 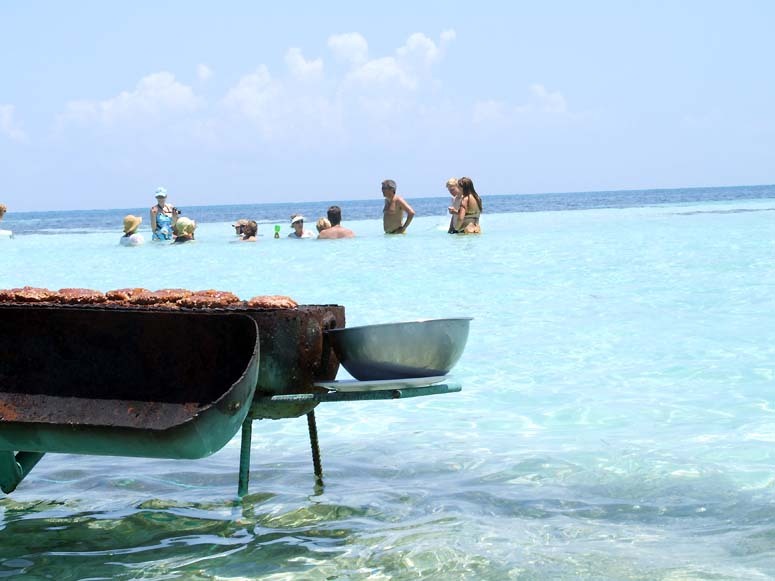 It’s has shallow sandbars around it that are popular for weekend BBQing & partying. Look at us learning together. In the end, it is just another September day to party in Belize. The celebrations in San Pedro are not as big as they are for Independence Day, Sept 21, but it’s still pretty fun. And the build up is definitely starting…look at this building right outside my window.